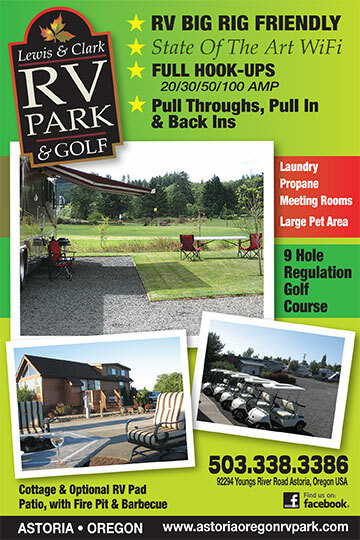 The Lewis & Clark Golf & RV Park provides coastal convenience, from beaches to the Columbia River. Located next to the Lewis & Clark National Park and Historic Astoria. Surround yourself with beautiful scenery and intriguing tours with plenty to see.